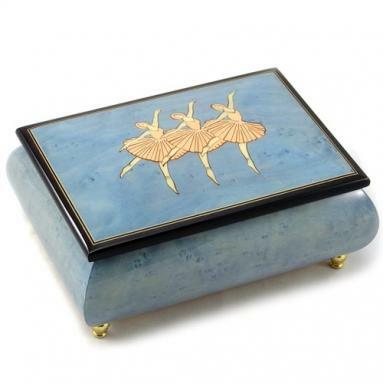 The Ballerina music boxes are small jewelry boxes inlaid with ballerina figures and ballet accessories. 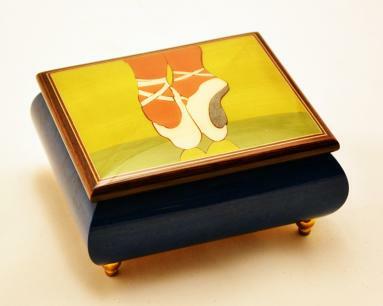 They are set on beautifully shaped small golden legs. 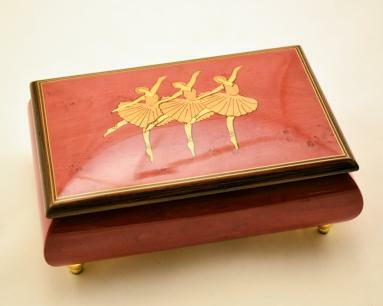 This handmade Sorrento music box will be a dream-come-true for a little girl who aspires to be a ballerina. 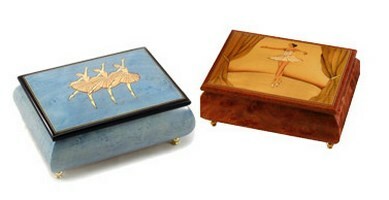 These boxes are hand painted with magnificent colors. 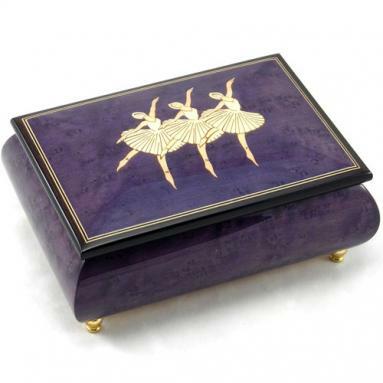 All these music boxes are big enough to hold more than one piece of jewelry. It can hold a whole jewelry set. That is why it forms a very significant gift article for girls and women.